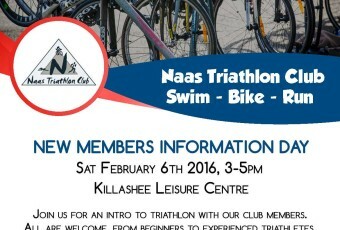 Naas Triathlon Club is delighted to announce their New Members Information Day taking place in Killashee Leisure Centre, Saturday 6th Feb between 3.00pm – 5.00pm..
Are you interested in finding out more about the sport of Triathlon? 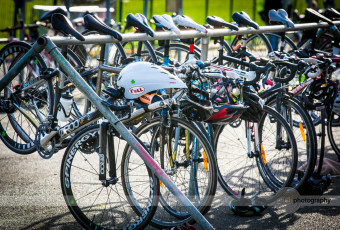 Are you considering taking part in your first triathlon in 2016? Naas Triathlon Club welcomes new members to a club where you can take part in training sessions in swimming, running or cycling with experienced coaches to help you reach your potential.The New Members Day Information is open to all Naas Triathlon Club members and the general public who want to find out more about triathlon. 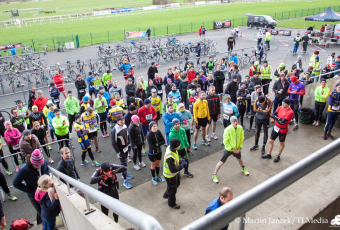 Club members and coaches will be available to answer all your triathlon questions in a relaxed and informal setting and discuss our club training sessions with you. 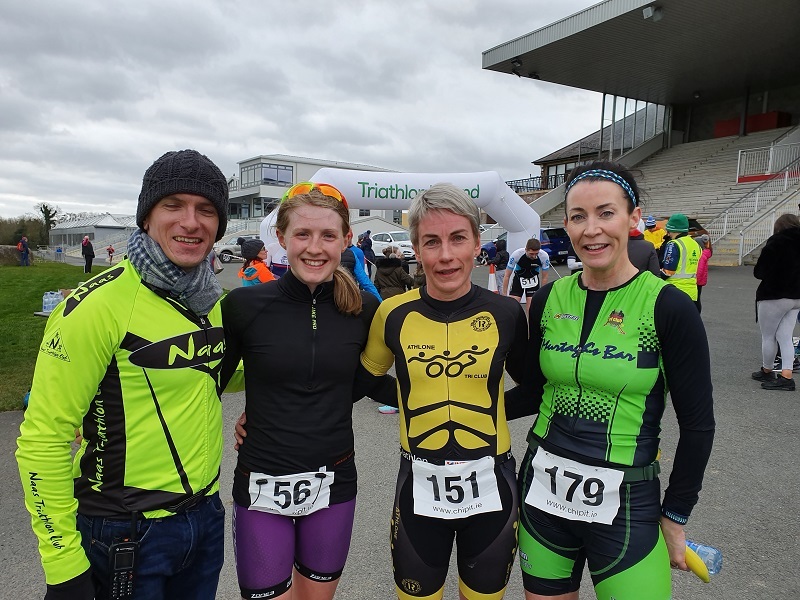 Club members also welcome as we will have the new Kalas Naas Tri gear available for you to see, why not try them on – get your size and we will help you order in time for the Triathlon season. 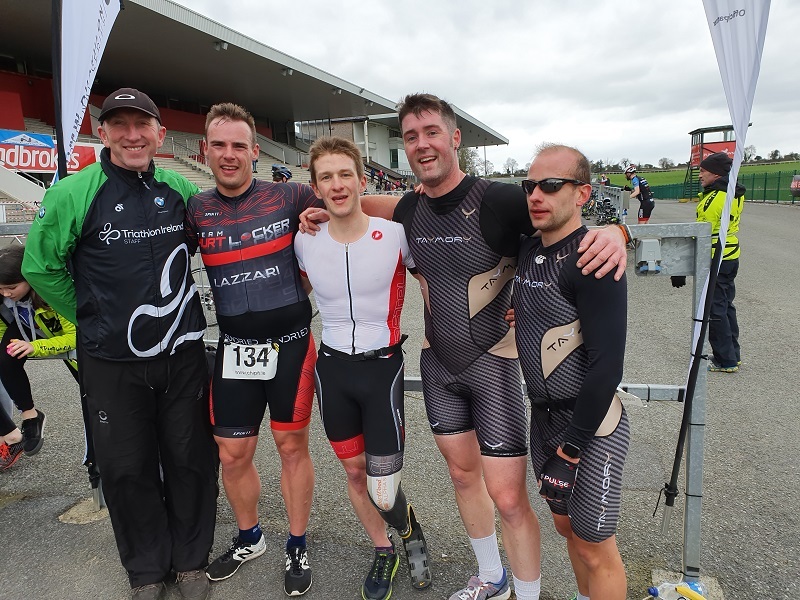 The ‘Butchers Block Duathlon’ kicked off the 2014 season in Punchestown this Sunday with over 200 triathletes of all abilities tackling the course. 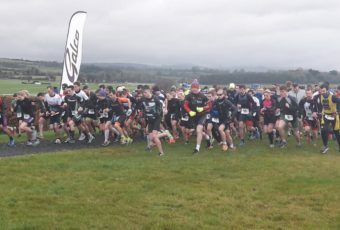 It starts with a 3.5k run around the racecourse followed by a 20k bike leg out to Blessington and back with a second lap of the racecourse to finish. Cork based Cathal O’Donnabhainn was in flying form on the 1st run leg leading Mariusz Olejniczak with a run time of 9:57 and it was clear he was determined to start the year off with a victory. He did this in fine style setting a new course record of 52:26 in the process. 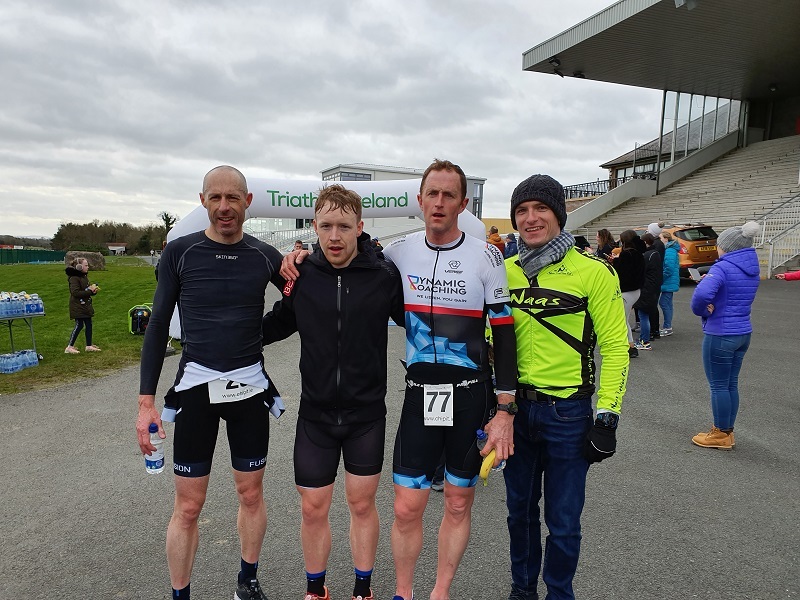 Mariuz, a previous winner of the race and member of the Naas Triathlon Club came a very creditable second with Peter kern completing the podium in third. In the ladies race there was no surprise to see last year’s series winner Caroline Conway leading after the first run but Kitty Perle was in no mood to make it easy for her and pressed her all the way. 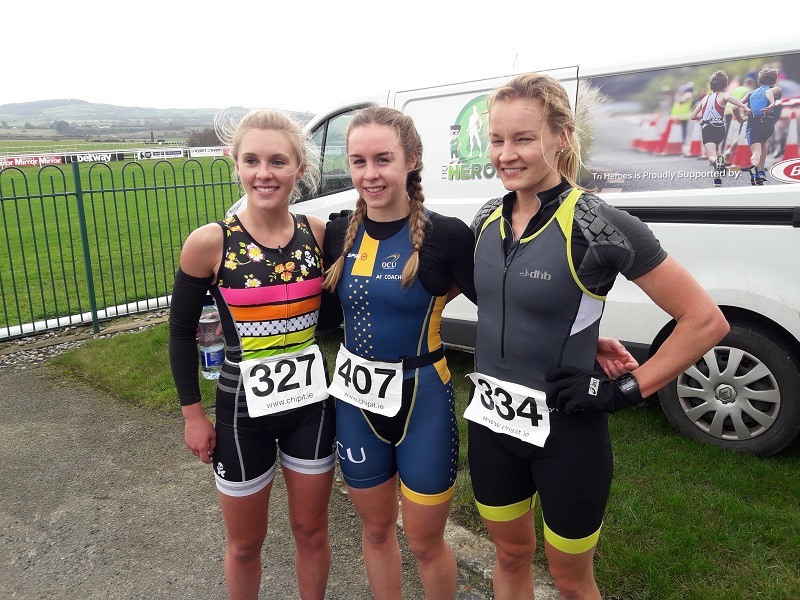 In the end Caroline’s run speed made the difference and she came home first in a time of 1:04:37 just over a minute ahead of Kitty with Aisling Flanagan taking third spot. For many of those competing it was their first attempt at such a race and this is a perfect way to get involved in the sport of Triathlon. Luckily the weather gods were kind today which made it all the more enjoyable. 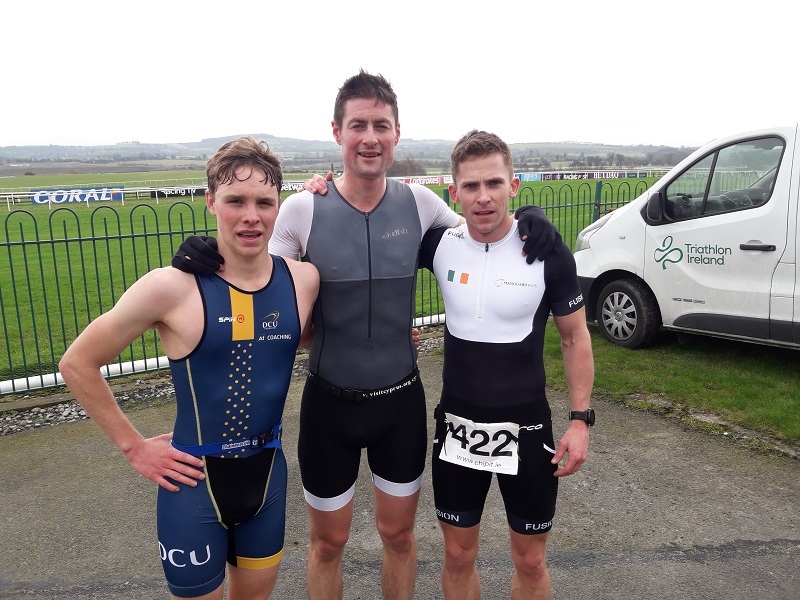 The second leg of this popular race series hosted by Naas Triathlon Club is on the 23rd February and entries are filling fast so don’t miss out – register on www.naastriathlonclub.com. 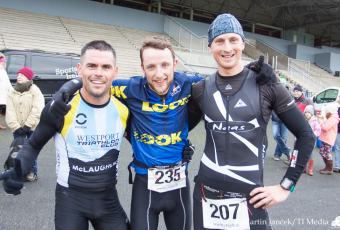 Well done to the men’s and ladies winners and all particpants in todays first race in the NTC 2014 Duathlon Series. 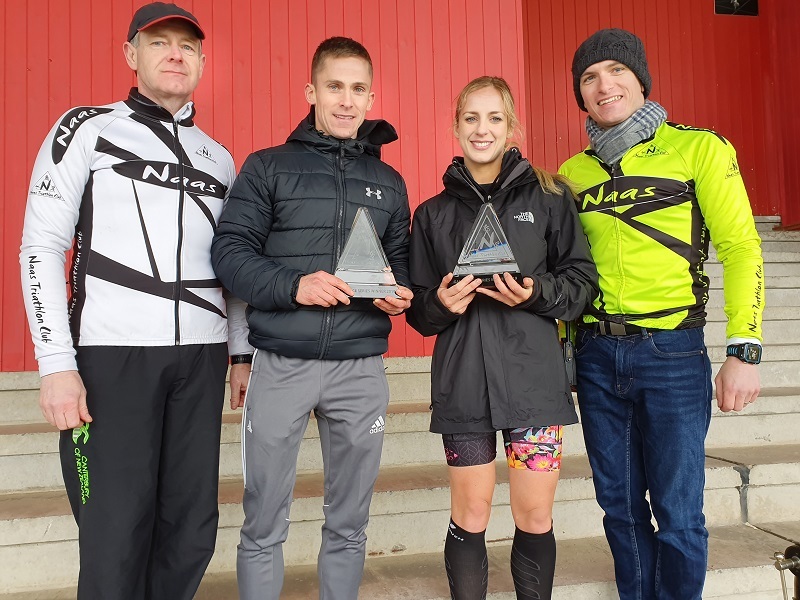 Results can be downloaded here NTC_Duathlon_Series_Results_Race1_Results. Elivar have kindly offered a 15% discount on all orders for Naas Tri Club Members, available to 30/04/13. FREE SHIPPING currently to Ireland so really there is no excuse not to buy elivar! To avail of this offer please click here to get the discount code. Member login required to view. We have out lovely strawberry on the way for Christmas also. You can also view a neat video here that explains all about what makes Elivar different from other sports nutrition products.